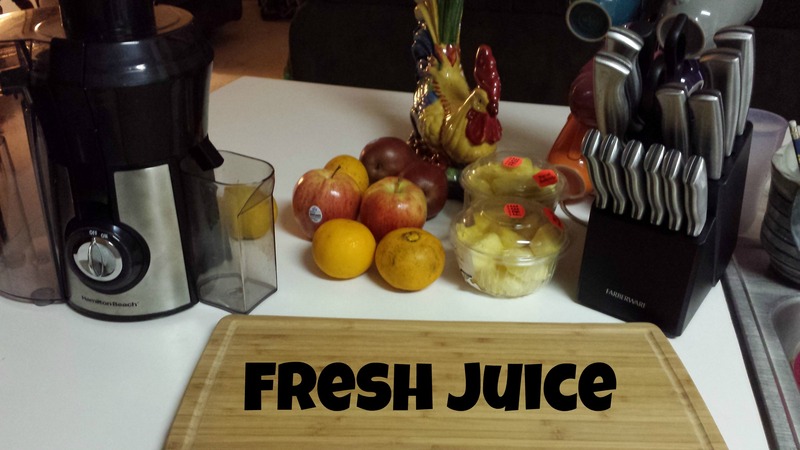 This isn’t my first attempt with my juicer. I got excited Christmas day and juiced a few oranges and a carrot we had lying around. THAT was interesting. This time I purposefully went out and bought some fruit to experiment with. The selection wasn’t as big as I was hoping, however I think I got some good stuff. 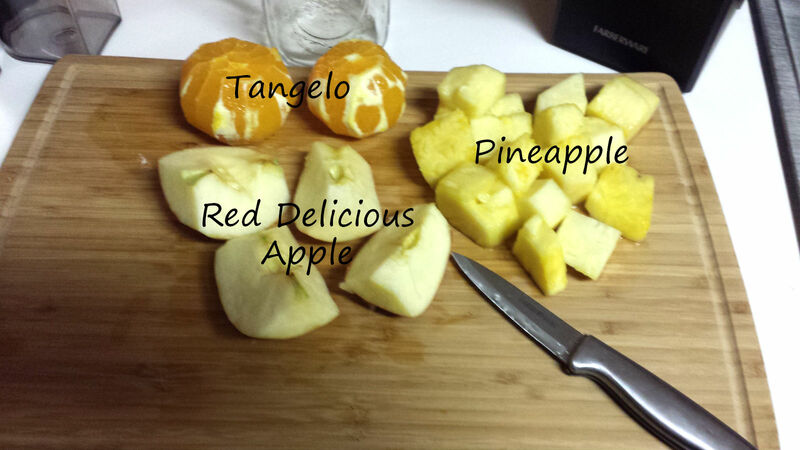 Two tangelos, one red delicious apple and about 3/4 lb of pineapple. 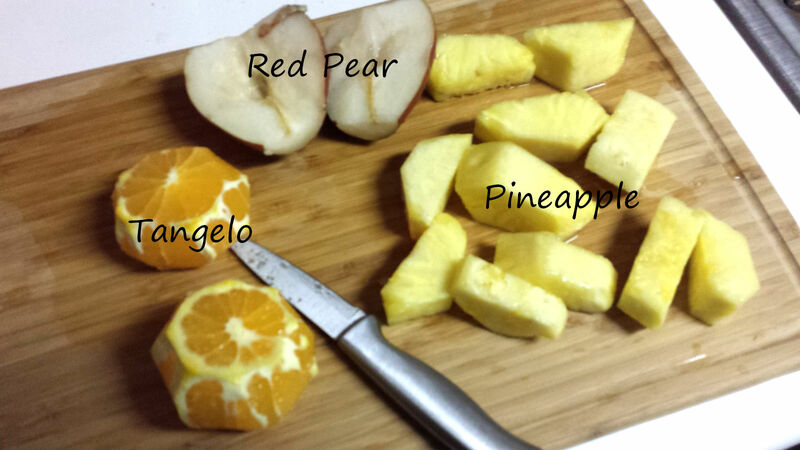 Two tangelos, one red pear and about 3/4 lb of pineapple. I had one pear and one apple leftover. 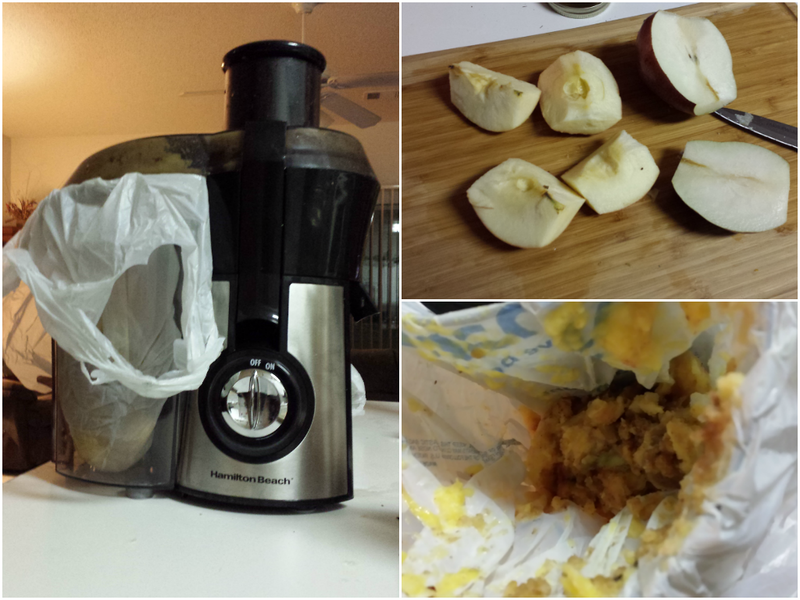 One trick I did with my juicer which may work for yours is to put a plastic bag where your pulp is dispensed. This makes for super easy clean up! Instead of using the plastic cup to empty the juice into I used my handy mason jars instead. The smaller two were perfect for the single apple and pear that I had left over. The juice was thicker than I imagined it would be. It’s definitely something I see myself doing OFTEN. 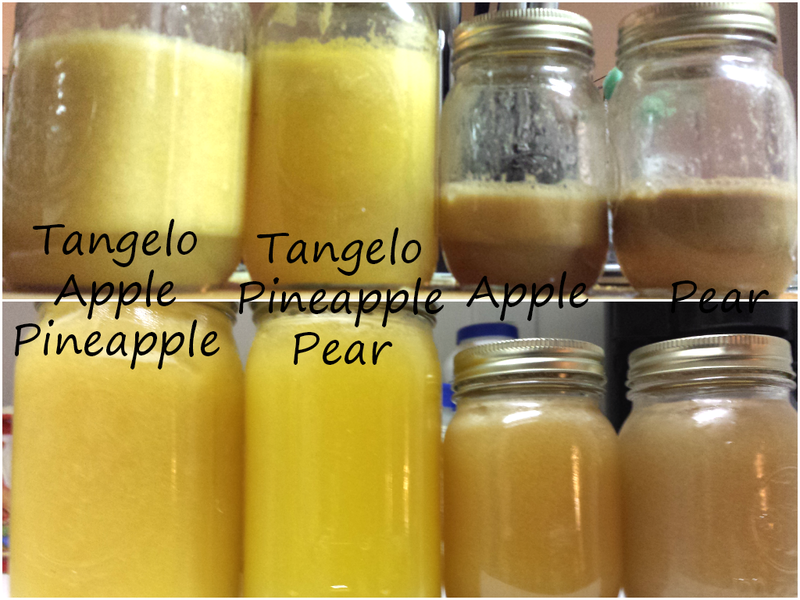 I think the apple/pineapple/tangelo combination is my favorite of the bunch. I was especially interested in the pear juice. I’ve never had it before. The fruit alone is super tender and sweet. Protein from plants tend to work very well as snacks throughout the day. temporary attainable objectives can also be essential. which includes confirmed helpful already males and also women.